Month To Month Term - Fully Furnished with Utilities Included available from July 2019. Min 30 days stay. Subsequent stay may be extended on daily, weekly and/or monthly based on availability. Refundable damage deposit and $30 screening fee required. 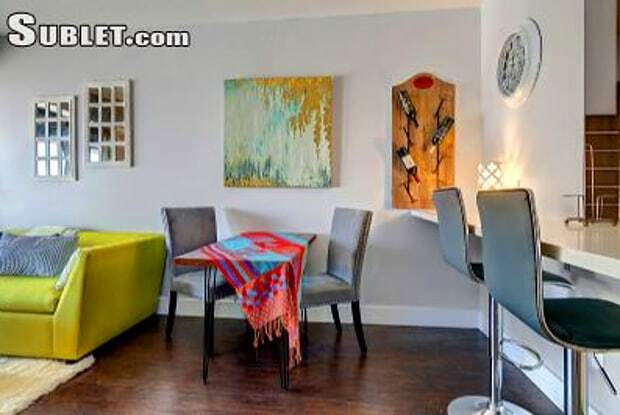 Perfect for someone looking for fully furnished short to medium term vacation rental and or temporary corporate housing in DOWNTOWN Seattle!! 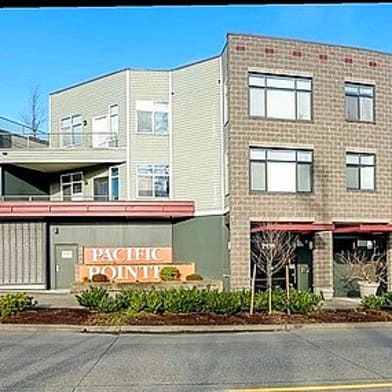 View Fabulous Puget Sound & Olympic Mountain Sunset Views Amazing Location - Perfect Walk Score of 100 Located in Downtown Seattle just steps from Pike Place Market, Seattle Art Museum, Benaroya Hall and much more. Whether you are in Seattle for vacation, business, or visiting friends and family, Newmark Tower offers the most central location for easy commuting with best access to many public transportation options including 2 blocks to light rail station connecting from SeaTac Airport to University District, Sound Transit buses stop right at your front door as well as access to zip car in the building s parking lot etc.! 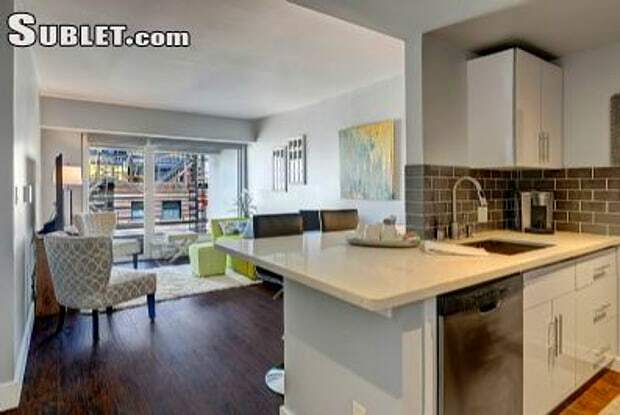 Best of all, literally everything you need is only a few minute walk away from world class hotel, restaurants & shopping to unique boutiques, ethnic eateries, cafe, bar & grill and night clubs as well as fresh grocery @ Pike Place Farmers Market across the street and Target store right below! 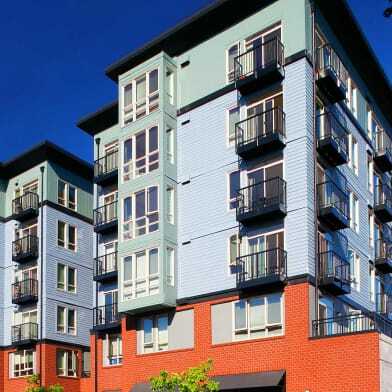 Minutes to I-5, SR 99 as well as I-90 for quick access to SeaTac Airport, Downtown Bellevue, Kirkland, Redmond, Everett, Renton etc The Condo Newmark Tower is an up-scale high rise condo complex. The Tower features resort like amenities including 24 hours concierge, business & fitness centers, full size in-door pool, hot tub, sauna, club room with garden terrace & gas BBQ grill for indoor and outdoor entertainment as well as guest suite for your visitors at affordable daily rate. This 10th floor unit is newly remodeled with all new flooring, cabinets, counter-top, appliances as well as fresh interior paint throughout. Truly a nice & bright with open living & dining area, a separate bedroom with large closet, full bath and an in-unit laundry with stacked washer & dryer! 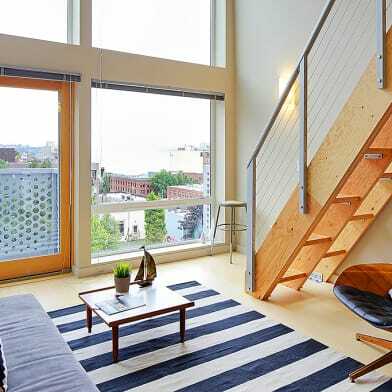 From the living room and bedroom, you will enjoy the amazing views of the Puget Sound & Olympic Mountain! Additionally there is 1 designated locker and parking spot available for tenant who needs extra storage & secured parking with direct access to the building at NO additional cost. Furnishing and Utilities Everything is professionally designed for style, comfort and flexible functionality. The unit is fully furnished with 1 queen memory foam bed + a pull out sofa single bed, 2 side chairs that can also function as additional dining chairs, small rectangular dining table and 2 dining chairs as well as 2 adjustable bar stools. Furnishing included linens, towels, large internet TV with Youtube TV programming + many cooking essentials including kettle, rice cooker, toaster, pots and pans, dishes, knifes and much more All utilities are included i.e. water, sewer, garbage, electricity and google fiber WIFI. Owner will include toiletries essential for up to 1 week. Special Note PLEASE NOTE: In order to operate short term rentals in this residential building, operators are required to provide screening for all guests. Check in time is between 3 pm to 10 pm. Late check-in (after 10 pm) is available by prior arrangement for an additional fee of $50. Term $30 non-refundable application fee per applicant for for screening. Asking good credit, security deposit + cleaning fee. Call or Text for availability & showing appointment. Have a question for 1415 2nd Ave?